A new horror anthology project for young writers is ready to be unveiled on Halloween, thanks to Kya Aliana. The stories are guaranteed to be fresh and original with all the authors under 18. Today I’m pleased to share an interview with Kya, herself a young author. Angela: Tell me a little about who you are as an author. Kya: Writing has been in my blood since before I can remember. I was writing short stories as a kid and it grew and grew until I finished my first full-length novel at 13 years old. That was when I realized this was my calling and what I wanted to pursue as a career. I self-published several novels in my teen years and never stopped writing short stories. Now, I still write every day and am working hard toward my dream of being a YA author published by one of the top 5 publishers! Writing is my greatest passion and I’m truly lucky and grateful to have gotten the support and encouragement I did growing up. Angela: What inspired you to begin this project? Kya: My love for writing and the horror genre inspired me first and foremost. Not too long ago I was a kid with a pile of stories stapled together, toting them around in my backpack, ready to show them off to my friends and give them away to any librarian and teacher who would read them. They were my pride and joy, and I loved sharing them with the world. I couldn’t find a lot of outlets to officially publish my stories (or even consider my stories for publication). I was overjoyed when the library started an annual local publication of teen work – my dream was starting to come true! I started Aspirations Press as a positive outlet for young authors and their stories. I’m looking for potential, ambition, passion, and stories that kids love to write. I’m happy to say that I found it with the very first submissions call! 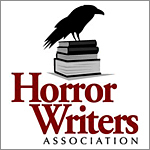 These young authors are incredibly talented and have an endless drive and motivation to succeed and continue publishing in the horror industry. I honestly think that the literary world needs more outlets like this, and I hope that AP serves as inspiration. The Dreams Come True Anthology is an important and vital contribution to the literary world. Angela: What were the project’s biggest challenges and success stories? Kya: The biggest challenge is reaching out to people and making sure they know about the anthology and Aspirations Press. There are a lot of kids with stories out there who just need to be encouraged to submit and keep writing. I received a fair amount of submissions for the first anthology, which I am grateful for. But, it took a while to spread the word. A lot of authors – young and old – aren’t brave enough to share their work, much less submit it for consideration to be publisher in an anthology. I think a lot of kids just don’t realize that they ARE good enough to be published and that a lot of people (not just their family and friends) will enjoy reading their work. I am grateful, excited, and happy with the submissions I received and the ones I accepted and included to be part of this anthology. It is a fantastic collection of horror stories – everything from psychological horrors, to monsters, to wild and terrifying adventures! Honestly, this anthology has a bit of everything you could want in a horror collection and it’s all written by young, fresh voices who are just branching out into the wonderful horror community. Angela: What do you hope to accomplish with this anthology? In our world today, it’s essential to reach out to our youth and demonstrate what is possible. We – as the horror and writing community – need to be an example of how the world can still be a playground. It’s important to offer these aspiring authors an intelligent world to which they can escape — a world called Books! I want to help build a support base these young writers as well as all the others who desire to be more than just texting teens. I want to reinforce in future generations that education is necessary and that there are rewards — being published, being a professional. I want to help the writing community show them that the act of love and commitment it takes to finish a story or novel is worth the effort. My biggest goal is to build a strong foundation for the novelists and storytellers of our future…the future of horror! Angela: What are your plans after publication? Will you do another? I’m so excited for this publication and it has been a wonderful and amazing project to work on. It’s been eye-opening and inspiring to work with these talented writers not as kids, but as professionals in the industry! They are truly amazing people with strong voices and a right to be heard. They are growing, expanding, and conquering the world of horror and they are still so young. “Stories for the Campfire” is just the first volume in a series of anthologies featuring stories written by young authors 18 and under. My plan is to continue to promote and put “Stories for the Campfire” out there, featuring these new names and stories as the premiere authors of fiction — The new generation of horror is here! I will definitely continue to do another, and a one after that, and even another – hopefully creating a snowball effect in the world of writing, publishing, and horror. This is truly a project that I believe in and have long-term goals. I’m only 20 and have a long road ahead of me – a road paved with many volumes of The Dreams Come True Anthology! You can find The Dreams Come True Anthology on Amazon US and on Amazon UK. You can also help The Dreams Come True Anthology by spreading the word on social media! Join the ThunderClap campaign for free by pledging to share the news on your favorite social media outlet on Halloween night at https://www.thunderclap.it/projects/32508-the-new-generation-of-horror.